Eric and Jason join Diecast to talk Masterpiece Shadow Panther and movie Ironhide as well as Mastermind Creations Collisus, Planket X Apollo, and the upcoming Perfect Effect Combiner Upgrade for the PoTP Dinobots. Will they get it? No. Who combines dinobots? That’s insane. This week in awesome: Rob reflects on the Beast Machines Happy Meal and the difficulty he had using the included coupon, which included the high blood pressure tester at Walmart and Rob running from it. Also: Zonebase.org is pretty dope! This week in awesome: Rob recounts his holiday break, some of the things he got for Christmas, and some of the neat stuff coming to stores soon! All this and he also sniffs and coughs a few times too! Be sure to drink your Ovaltine and check out Zone Base! 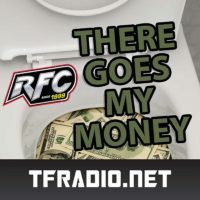 On this episode of There Goes My Money: ExVee, Eric and Jason join Diecast to ring in the new year with pre-orders for Generation Toy T-Beast, Planet-X Charon, and an Offical Third Party Megatron.